Axel Bruce Lind was born at home at 5:34 this morning. He is a big tater, weighing in at 8lbs 10oz and 22in long. Today is also his due date and a super awesome birth date – 11.12.13. Congrats again! All I can seem to think about is how my last few were about the same size and how uncomfortable I was and I’m not a petite thing like you. Get your rest and enjoy that sweet little boy. Congratulations–we’re all super excited to hear the news. 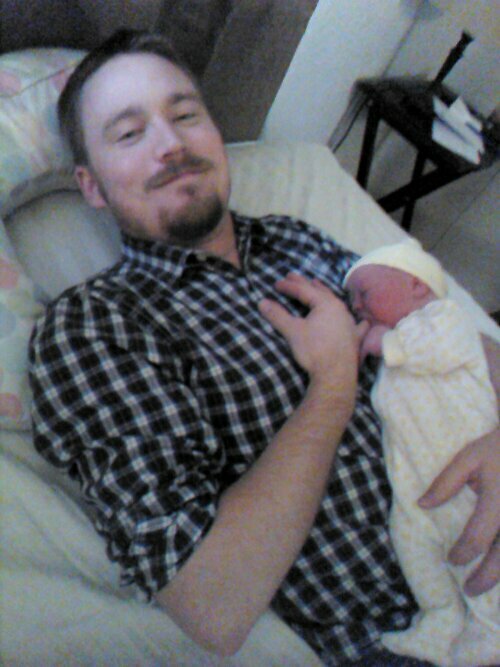 Praising God for a good home delivery and a healthy baby. We look forward to lots more pictures of him. Much love! !